FOX has released additional information about the upcoming second season of Wayward Pines, as well as a “first look” trailer (the network actually released bits of footage earlier this week via Twitter). The 10 episodes of season two will start airing on Wednesday, May 25th. “WAYWARD PINES” Returns Wednesday, May 25 @ 9/8c on FOX! WAYWARD PINES, last summer’s No. 1 scripted series on broadcast television, returns for a second season Wednesday, May 25 (9:00-10:00 PM ET/PT) on FOX. From executive producer M. Night Shyamalan (“The Sixth Sense,” “The Visit”), the 10-episode, psychological thriller is based on the rich world created by author Blake Crouch in his international best-selling series of books. Starring Jason Patric (“Rush,” “Narc”), two-time Academy Award nominee Djimon Hounsou (“Blood Diamond,” “In America”) and Emmy Award and Golden Globe nominee Hope Davis (“American Crime,” “The Newsroom”), the 10-episode, second season will pick up after the shocking events of Season One, with the residents of Wayward Pines battling against the iron-fisted rule of the First Generation. Dr. THEO YEDLIN (Patric) – a new resident of Wayward Pines – awakens from suspended animation and finds himself in the middle of this rebellion, as he tries to understand what Wayward Pines really is and help preserve the endangered human race. Hounsou will portray CJ MITCHUM, an original resident of Wayward Pines and a historian for the town with extensive knowledge of its complex origins, and the one person who can provide a unique bridge between the current world of Wayward Pines and the previous world that humans inhabited. Davis returns as MEGAN FISHER, who is in charge of the scientific research being conducted on the Abbies, and remains deeply involved in the development of the hearts and minds of the future of humanity – Wayward Pines’ “First Generation.” Also joining the second season are cast members Tom Stevens (“Cedar Cove”), returning from Season One as JASON HIGGINS, a member of the First Generation and Pilcher’s young acolyte; Nimrat Kaur (“Homeland”) as REBECCA, who has her own secrets she keeps from Theo, her husband; Josh Helman (“Mad Max: Fury Road,” “X-Men: Days of Future Past”) as XANDER, a resident working to undermine Wayward Pines from within; and Kacey Rohl (“Hannibal”) as KERRY, one of Jason’s lieutenants in the civil war going on in Wayward Pines. Additionally, several Season One cast members will appear in Season Two, including Terrence Howard (SHERIFF ARNOLD POPE), Carla Gugino (KATE HEWSON), Toby Jones (DR. JENKINS/DAVID PILCHER), Melissa Leo (NURSE PAM), Tim Griffin (ADAM HASSLER), Shannyn Sossamon (THERESA BURKE) and Charlie Tahan (BEN BURKE). Like WAYWARD PINES on Facebook at facebook.com/WaywardPines. Follow the series on Twitter at @WaywardPinesFOX, and join the discussion using #WaywardPines. 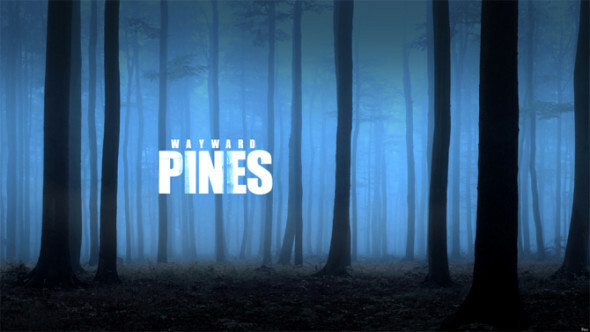 See photos and videos on Instagram by following @Wayward Pines. What do you think? Did you enjoy the first season? Do you plan to watch the second season of Wayward Pines on FOX? I enjoyed season one so I’m going to watch season 2, of course!